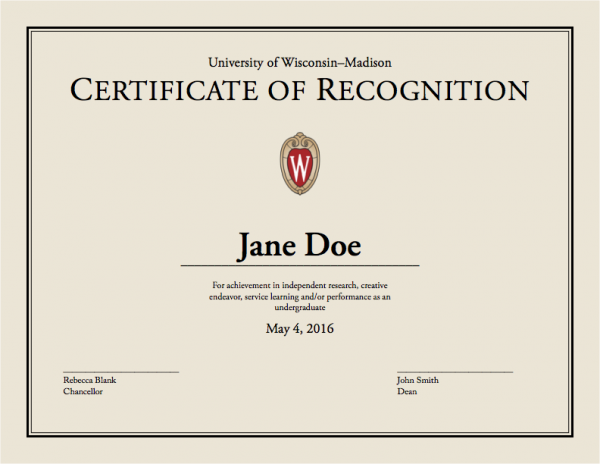 Using UW–Madison stationery—such as letterheads, name badges, envelopes, certificates, and business cards—is one of the most effective ways to convey official university business. Both a level of formality and visual consistency are achieved by using approved logos, typefaces, colors, and paper stock. Faculty and staff members may order components of the stationery system provided that they will be used to conduct official university business. 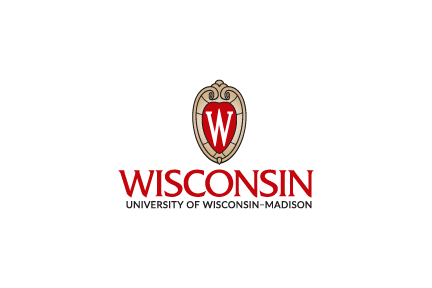 Description: Official UW–Madison business cards. Standard size of 3.5 by 2 inches; various designs available. 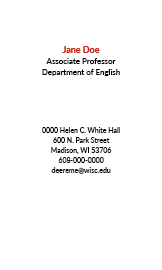 Business cards for departmental units are also available. 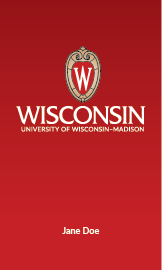 Description: Official UW–Madison letterhead (8.5 by 11 inches) and envelopes (sizes vary). Letterheads and envelopes for departmental units are also available. Description: Magnetic-backed personalized name badges. Measures 3 by 1.5 inches. First line: 18 characters suggested. Second and third lines: 28 characters suggested. Description: Laser-printable parchment paper certificates, featuring a red-foiled “W” crest and black border. Measures 8.5 by 11 inches. Cost: $2.50 per certificate; discount available for orders of 100 or more. Description: Full-color notecards with white matching envelopes, measuring 4 x 5.25 inches, laser-compatible. Cost: $10 per pack of ten.